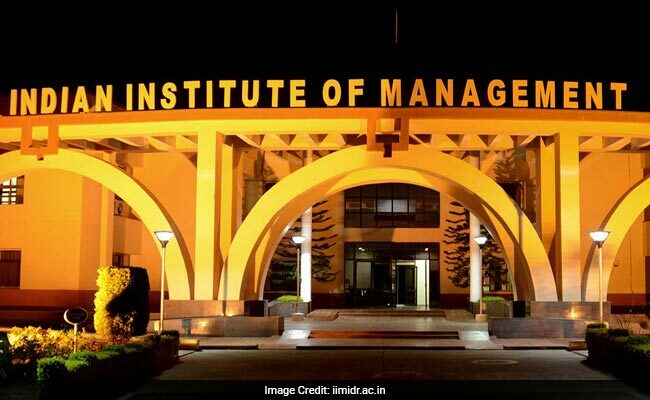 IIM Indore has moved to the 2019 Regional Finals of The Hult Prize competition. The Hult Prize is a crowdsourcing platform for social good, named one of the top five ideas changing the world by TIME Magazine. The innovative crowdsourcing platform identifies and launches disruptive and catalytic social ventures that aim to solve the planet’s most pressing challenges. This year, the Hult Prize is focused around finding solutions for the millions of people around the world affected by unemployment, primarily the youth who are affected by lack of skills and lack of opportunities. The winning team from Indian Institute of Management Indore is the Team Dreamers and Seekers consisting of team members Kuhu Krishna (Patna), Aishwarya Gupta (Mumbai), Urvashi Saboo (Sehore), and Prateek Kumar (Dehradun). “In India, every year, numerous traditional craftsmen and indigenous producers migrate to big cities in search of daily-wage labour, just so they can feed their families. Every day is a struggle for them and centuries-old traditional grassroot knowledge that has survived generations dies in the brawl of an urban slum. This is where our venture comes in. We are Dharohar – which translates to Heritage and we believe that the pride of India actually lies in its culture and heritage. The team will now move on to compete at the Hult Prize regional finals in March 2018, which are being hosted around the world across 25+ cities. Following the regional finals, one winning team from each host city will advance into an intensive 8-week summer business incubator, where they will receive mentorship, advisory and strategic planning as they create prototypes and set-up to launch their new social business. The final round of competition will take place in September, where a jury panel will select the Hult Prize winner, with USD 1,000,000 Prize given to the winning team. The Hult Prize is a start-up accelerator for social entrepreneurship, which brings together the brightest college and university students from around the globe to solve the world’s most pressing issues. The annual initiative is the world’s largest student competition and crowd-sourcing platform for social good, and has been funded by the Hult family since its inception in 2009.